Welcome friends to the latest tale of "horror" from Heath and Rob. 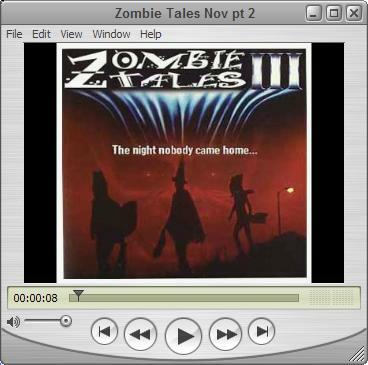 So sit back, turn down the lights, grab a bowl of popcorn and prepare to experience Zombie Tales 3! These two tales will be sure to delight you, would we lie? Of course not! And funny, did I mention that they are funny? They are, trust us! So without further ado, click on one of the links to watch the clips!